Designed by Martin Stringer, our Texas Shimmering Diamond Pendant in 14 karat white or yellow gold features a ½ carat center diamond that moves with every breathe that she takes. 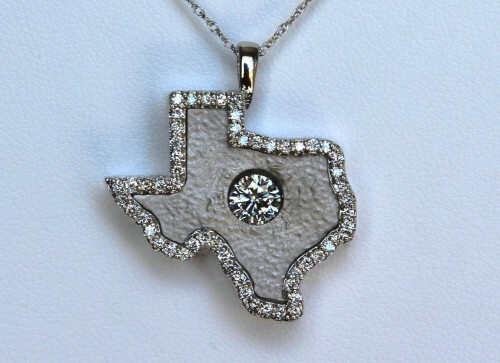 There is another ½ carat total weight of diamonds around the outline of Texas. Comes with a nice chain.